Generally, we see two types of neck pain cases. Minor neck and shoulder pain involve sensations of discomfort, stiffness or soreness. If these symptoms last for more than a day or so, occur frequently or were preceded by an accident, or some type of injury, we consider it major. 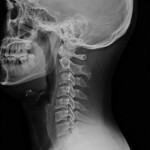 Major neck pain causes may also be accompanied by pain or numbness that radiates into the head, shoulders, arm or hand. Dr. Logullo is an expert in cervical spine care with over seventeen years experience helping neck pain sufferers. The first step is to find the cause with a thorough neurokinetic chain assessment to evaluate the neck and structures that influence neck function. Nerve, joint and muscle function from the spine, shoulder, elbow, wrist and hand are all assessed. We often see problems with areas that are distant from the site of neck pain. By addressing the related biomechanics and neurological issues, the best outcomes are achieved. Dr. Logullo uses a combination of the most advanced and scientific treatment strategies available in the country. If needed, we have the ability to x-ray the spine. Dr. Logullo interprets X-ray and MRI results. At Logullo Chiropractic we specialize in reducing interference to the nervous system in the neck. Many of our patients find that chiropractic care gives them relief from both minor and major neck and shoulder complaints. 1. To schedule your private in-office consultation with Dr. Logullo simply complete the Appointment Request below. 2. Call Us at (302) 378-5441 to make or confirm your appointment.